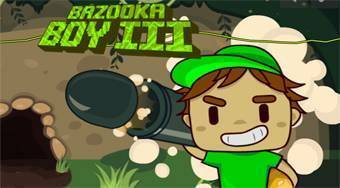 Do you like Bazooka Boy 3? Share it with your friends. Bazooka Boy 3 - move with the guy armed with bazooka around the game board and try to destroy all the golden blocks.